Sometimes a charter school isn’t just a charter school. Sometimes it’s part of a war. At least that seems to be the mindset of some of the folks behind the Seven Oaks Classical School, which would open next fall in Bloomington. The Indiana Charter School Board will conduct a public hearing on the proposal at 5:30 p.m. Monday at the Monroe County Public Library. Seven Oaks organizers are working closely with the Barney Charter School Initiative at Hillsdale College, according to the school’s application. As retired educator Janet Stake points out in a letter to the charter school board, the Barney Initiative casts charter schools as a tactic in a battle to overturn “100 years of progressivism” that has “corrupted” America’s classical approach to education. “The public school is arguably among the most important battlegrounds in our war to reclaim our country from forces that have drawn so many away from first principles,” the initiative says in its statement of philosophy. What is our vision of Monroe County? Should our population of children be carved up into ideological segments so that we can all receive education with like-minded families who share our values, and, quite possibly, our ethnicity and socioeconomic status? I fear a vicious cycle. If a new charter means that our public schools get larger class sizes and fewer programs, more families will want to leave the public schools, and those who are left will be the ones with the fewest resources to advocate for themselves and their education. The mission of the Indiana Charter School Board is supposed to be to create more high-quality schools for Indiana students. The board isn’t supposed to advance a political agenda. And it shouldn’t be in the business of creating schools intended to divide Hoosiers by their political beliefs. The democratic alternative to “school choice” is “school voice.” There are school board elections Nov. 4. If people want a better education for all our children, that’s where they should focus their attention. 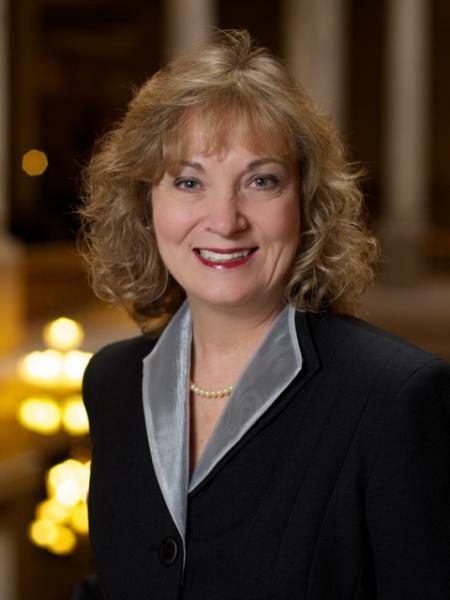 Glenda Ritz may present herself as an educator, not a politician. But she gave a politician’s answer when asked Monday if she would consider running for governor of Indiana. “I’m perfectly happy where I am,” the Indiana superintendent of public instruction said, before reciting a list of accomplishments that could justify a run for higher office. Ritz spoke in Bloomington at a luncheon meeting of the Bloomington Press Club and then headed off to visit a couple of local schools and appear at a rally for Jeff Sparks, a Linton school administrator who is running for a seat in the Indiana House of Representatives. In office for barely 20 months, Ritz seems to have visited schools and met with civic groups in every corner of the state. This sends a message that the state education chief cares about what’s going on in local classrooms. It also raises her profile with prospective voters leading to the 2016 election, when she will be up for re-election – assuming, that is, she’s not the Democratic candidate for governor. Here’s a question that arguably deserves more attention from education researchers and policy types: Why are some schools better than others at getting students from low-income families to pass tests? We hear a lot about high-poverty schools that produce better test scores than you’d expect. We pay a lot of attention to no-excuses charter schools and public schools that focus relentlessly on data. But poor kids are scattered throughout all kinds of schools and school districts, urban, rural and suburban. And judging by test scores, some districts do a better job of helping them learn than others. The Indiana Department of Education recently posted district-by-district and school-by-school passing rates on the ISTEP+ exam for “disaggregated groups” of students: minorities, students who qualify for free or reduced-price lunches, English language learners and special-needs students. The data are a carry-over from the No Child Left Behind Act, which required schools to hit targets for the percentage of students in each group who passed standardized tests. The results vary from school to school – a lot. Looking at students who qualify for free and reduced-price lunches, for example, the proportion who passed both the math and English ISTEP+ exams in 2014 ranged from 85.9 percent to 45.2 percent. The state average was 62.3 percent.